An effective cleanser specially formulated to provide body, volume and bounce to flat or greasy hair, Himalaya Herbals Anti-Dandruff Shampoo Volume & Bounce is a unique blend of herbs that work together to control dandruff and add life to your hair. 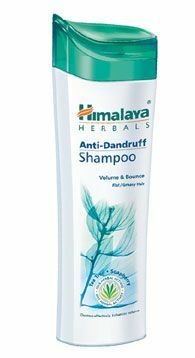 Massage Himalaya Herbals Anti-Dandruff Shampoo Volume & Bounce gently into wet hair and scalp. Rinse thoroughly. Repeat if necessary.